There may still be time for a despondent, mysterious old house with tiny pineapples carved on its eaves to fulfill the dream of one of its owners over seventy years ago. But in order for that to happen, two retired ladies, one black and one white, must unravel the mystery that surrounds both the house and the children who have come to believe it belongs to them. It's these children, living in the apartment complex across from Blessing Path, that most need the puzzle solved because the “For Sale” sign just placed amid the weeds in the front yard seems ominous to them. The clues include old newspaper clippings, a policeman's chance meeting with a soft-spoken genteel visitor, love letters during World War II, and a mason jar, recently excavated from the backyard that is filled with exquisite patterned shells of the sea, long protected by its rusty cap. Together, these pieces of information draw the ladies from the heart of Texas to the sparkling South Carolina coast and deep into the culture of Charleston and its Gullah heritage. 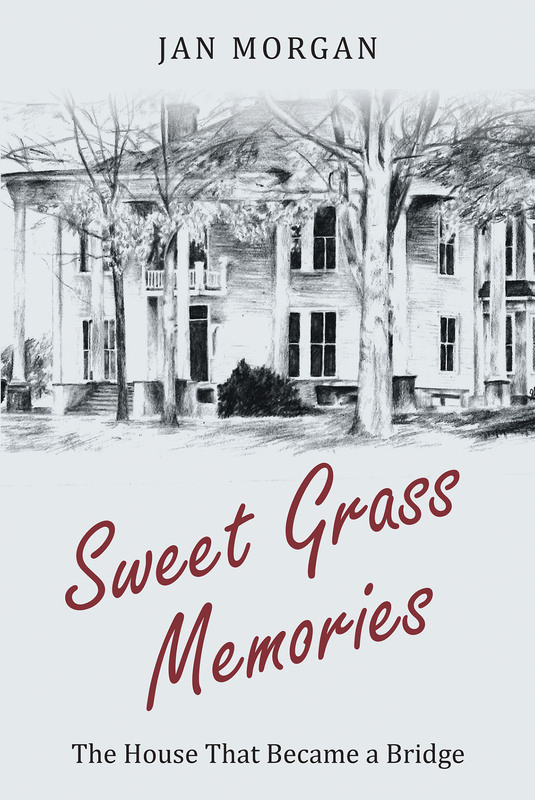 Sweet Grass Memories was built on Texas soil, but if you cross her threshold and wait quietly for a few moments, you might just catch a whiff of pluff mud and taste the saltiness of sea air.